Asked about his opinion about the new party chief, Shashi Tharoor said, "Rahul Gandhi has grown up with ideas, perspectives, anxieties, and a degree of knowledge and vocabulary base that many of the youths will find congenial." 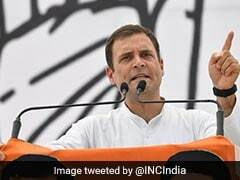 Shashi Tharoor said Rahul Gandhi has "tremendous intellectual curiosity"
Congress leader Shashi Tharoor today said party president Rahul Gandhi is an "interesting" person with a tremendous intellectual curiosity, but the country "sadly" has not seen enough of him. Asked about his opinion about the new party chief, Mr Tharoor said, "Gandhi has grown up with ideas, perspectives, anxieties, and a degree of knowledge and vocabulary base that many of the youths will find congenial." Mr Gandhi has "thought very deeply about religion and matters of faith. He is a Shiv bhakt and seriously practices Buddhist Vipassana and can talk about differences between various schools of it and Hindu philosophy", he said. 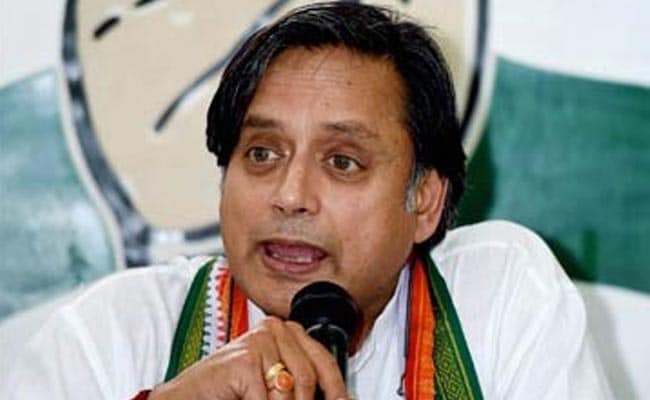 Citing an anecdote, Mr Tharoor said when all the political chatter was happening at the time of his elevation as the party's vice president in Jaipur in January 2013, "Gandhi was seen explaining a new book released by inventor of 'black swan theory' Nassim Nicholas Taleb". Mr Tharoor said Mr Gandhi "is an extremely interesting guy with a tremendous intellectual curiosity and is extraordinarily well-read. I say this because for a couple of years between my two ministerships, I sat directly behind him in Parliament." "Every day we would chat and invariably the subjects he raised were about the books he was reading. That is the kind of the person he is and the rest of the country sadly has not seen it enough," he added. Mr Tharoor, a Lok Sabha member, said India was facing a choice between two different styles of leadership. "On the one hand we have a one-man-show. We have a hero on a white stallion cantering down to the appraisal saying he has all the answers to all the questions. On the other hand, you got a guy who says I don't know all the answers but I will come to you and listen and bring a group of experienced people to work together," he said. Mr Tharoor also hit out at the right-wing in the country and said traditionally the idea of the Right and Left emerged due to economic reasons, but today the right-wing was about "cultural nationalism".